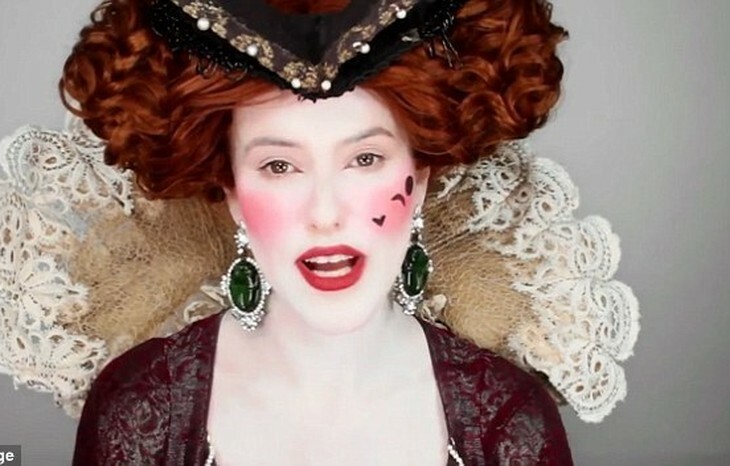 This video nails makeup looks through the ages. Lisa Eldridge has created masterful beauty looks for A-list celebrities like Kate Winslet, Cara Delevingne and Keira Knightley, but she doesn't only know her way around a modern-day beauty bag, she's got the history of makeup down pat as well. Eldridge is launching her book FacePaint: The Story of Makeup, and to promote the launch she created a mesmerizing video of just about every beauty look dating back to the days of Cleopatra. It's fascinating to watch looks evolve and also note where some current trends may have gotten their origins. Who knew a Grecian goddess favored a unibrow or that 16th century aristocrats were all about the bright red blush? Not only is this a fun little history lesson, it also provides some Halloween inspo, if you're still looking or a beauty look that will work as a costume. We're totally digging the silent film era look.